Need a good laugh? 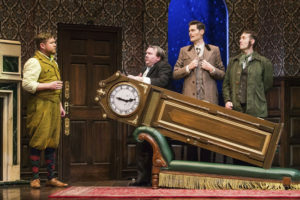 Then you simply must see The Play That Went Wrong at the Aronoff Center for the Arts. You need to hurry up and grab your tickets NOW because this show is only in town through the weekend! Broadway in Cincinnati brought The Play That Went Wrong to town this week, and before it arrived I had never heard of this show. Shame on me! I read up on the show before we went and all the reviews were raving. We went in with no idea what to expect and came out exhausted from laughing. 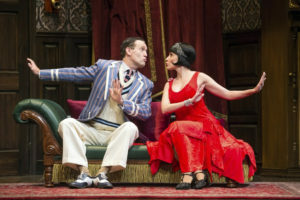 The slapstick comedy in the Play That Went Wrong is just too much. A few times I laughed so loudly that I was sort of embarrassed but then I realized it was the whole audience cracking up, not just us. We loved it so much that we came home and bought two tickets as a birthday gift for my mama. Start planning a fun weekend and grab some tickets to this hilarious show. If you have already seen it I would love to hear your thoughts in the comments! 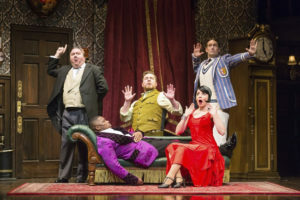 THE PLAY THAT GOES WRONG, the hilarious Tony Award-winning hit Broadway comedy, will make its Cincinnati debut at the Aronoff Center, November 27 – December 2 as a part of the Fifth Third Bank Broadway in Cincinnati 18/19 Season presented by TriHealth. Tickets are on sale now at the Aronoff Center box office downtown at 650 Walnut Street, online at CincinnatiArts.org or by phone at 513.621.ARTS. 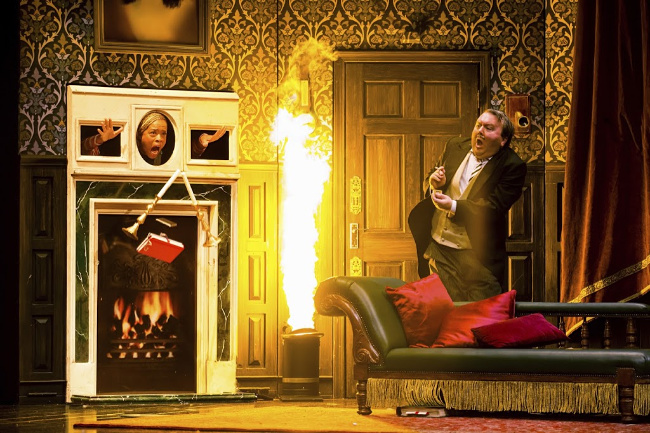 THE PLAY THAT GOES WRONG will play the Aronoff Center from November 27 – December 2, 2018: Tuesday – Thursday at 7:30PM, Friday at 8:00PM, Saturday at 2:00PM and 8:00PM, Sunday at 1:00PM and 6:30PM. Tickets start at $31 and are available at the Aronoff Center Box Office downtown at 650 Walnut Street, online at CincinnatiArts.org or by phone at 513.621.ARTS. For groups of 10 or more, contact the group sales department at 513.369.4363. Performance schedule, prices and cast are subject to change without notice. 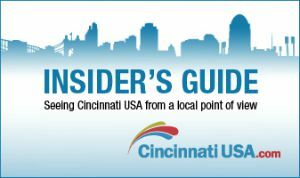 For more information, please visit www.BroadwayInCincinnati.com. Disclaimer: I was given complimentary tickets to see The Play That Went Wrong for review purposes, but all opinions are 100% my own.